Our expatriate medical insurance covers bone marrow transplants. Our expatriate medical insurance covers bone marrow transplants. Good Neighbor Insurance provides international medical insurance that does cover bone marrow transplants, as long as you have been accepted on the international medical policy. Please realize that there are pre-existing medical conditions that will cause underwriting to decline acceptance on the overseas medical insurance. ACA or also called the Affordable Care Act here in the U.S. is only for U.S. domestic medical insurance to follow. International medical insurance does not have to follow ACA guidelines. Lastly, please see our web links below to get the most up-to-date information. But the best way to get the information you need is to call our talented and licensed international medical insurance agents here at 866-636-9100 or feel free and use our Arizona phone number at 480-633-9500. You may also email us at info@gninsurance.com. Our GMMI expatriate medical insurance options at https://www.gninsurance.com/gmmi-career-long-term-insurance-plans/: Subject to special Transplant Pre-certification provisions, and only when Treatment is provided within the Company’s approved independent Managed Transplant System Network. Covered Transplants are: heart, heart/lung, lung, kidney, kidney/pancreas, liver and allogeneic and autologous bone marrow. Our Signature career international medical insurance at https://www.gninsurance.com/wea-signature: Coverage is provided for the transplant of any human organ or tissue in accordance with percentage and maximum allowable amounts as per Plan election (12 month waiting period). Our Meridian expatriate medical insurance option at https://www.gninsurance.com/azimuth-meridian-international-career-medical-plans/: Covered Transplant: A transplant involving the heart, heart/lung, lung, kidney, kidney/pancreas, liver and allogenic or autologous bone marrow. We will not pay for bone marrow or peripheral stem cell transplants under this part of this policy if the transplants form part of cancer treatment. The cover which we provide in respect of cancer treatment is explained in other parts of this policy. any costs which are incurred if the donor experiences complications, for a period of 30 days after their procedure; whether or not the donor is covered by this policy. 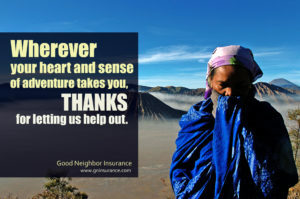 Please call one of our licensed international medical insurance agents at Good Neighbor Insurance at 866-636-9100 or our other telephone number at 480-633-9500 with any questions. Good Neighbor Insurance International Brokerage is located in Gilbert, Arizona, inside Phoenix Metro. You may also reach us via email at info@gninsurance.com. Blog Home > International Travel Insurance > Coverage around the world > 2013 - 2019 updates > Our expatriate medical insurance covers bone marrow transplants.